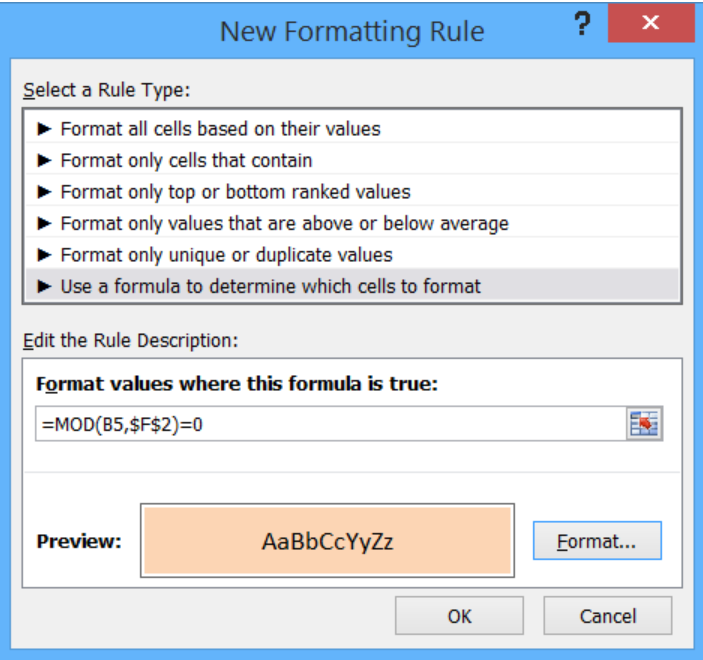 Conditional Formatting is a feature in Excel that allows us to change the format of cells based on a set of rules or conditions. 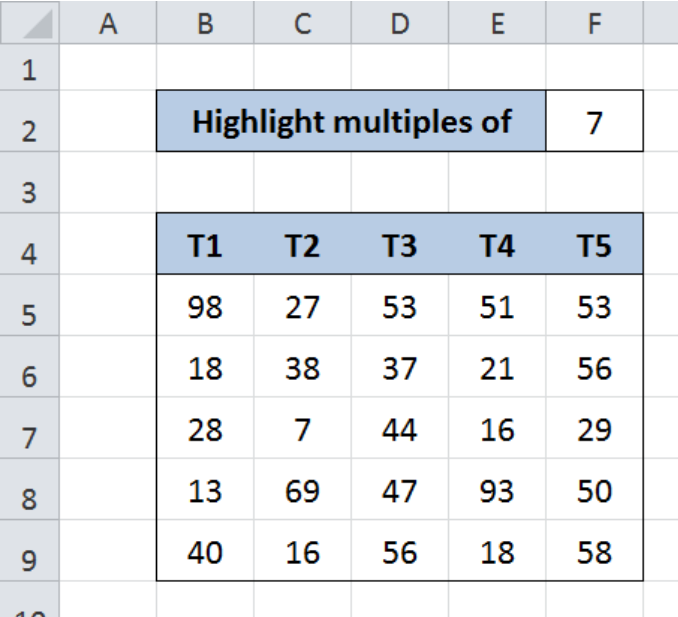 This step by step tutorial will assist all levels of Excel users in applying conditional formatting to highlight multiples of a specific value. Our data consists of five columns from column B to F, with each column containing five numbers. In cell F2, we enter our criteria which is the number 7, whose multiples we want to highlight in our data. 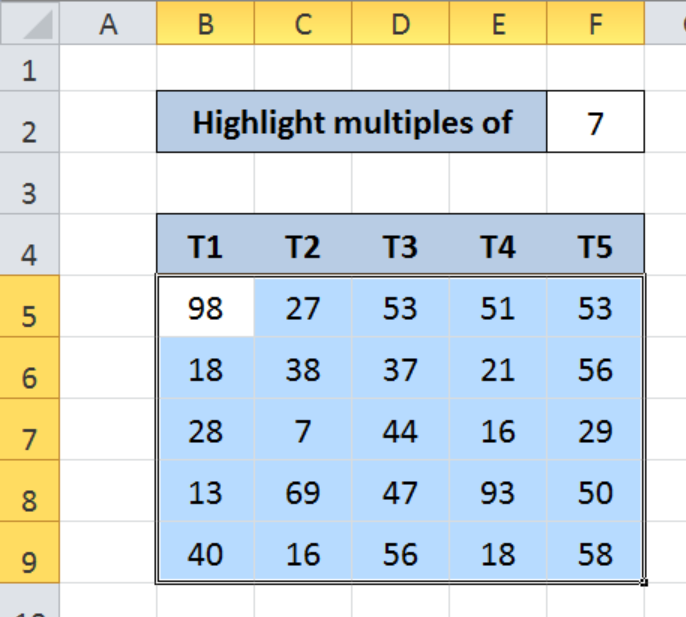 We want to use conditional formatting to highlight the values which are multiples of the number 7. Step 1. 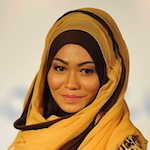 Select the cells we want to highlight. In this case, select cells B5:F9. Step 2. Click the Home tab, then the Conditional Formatting Menu and select “New Rule”. The New Formatting Rule dialog box will pop up. 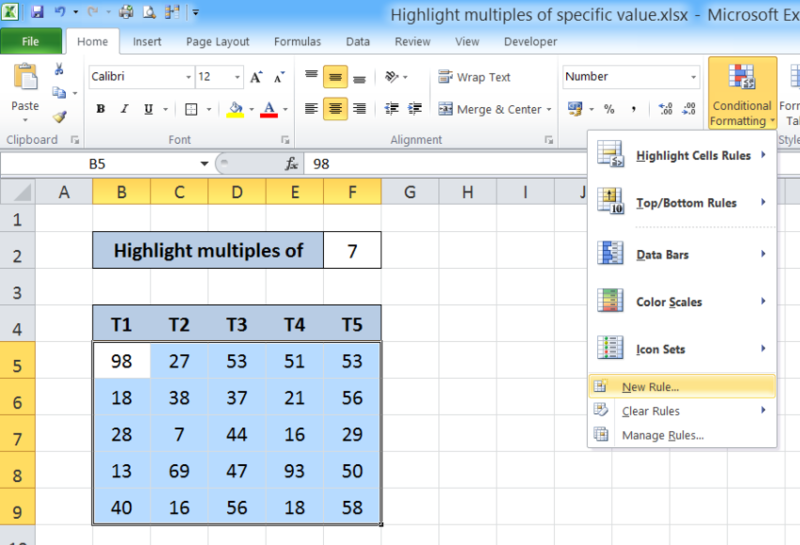 Our formula serves as the condition or rule that will trigger the conditional formatting. Each cell in B5:F9 will be divided by F2 or “7”, and the MOD function will return the remainder. 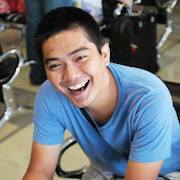 If the remainder is equal to zero “0”, the value in that cell is a multiple of 7 and the format will be changed. The dollar sign “$” fixes cell F2 to enable our formula to work properly across all cells in B5:F9. Step 4. 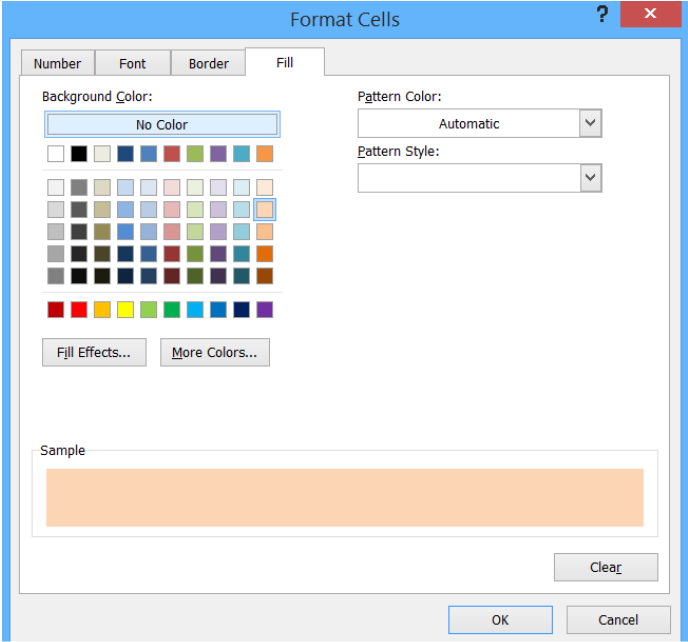 Click “Format” and then decide on the new format to apply to the cells in B5:F9. We can change the font, borders or fill the cells with different colors. This rule highlights the cells that are multiples of 7. As a result, cells B5, B7, C7, D9, E6 and F6 are highlighted as shown below. 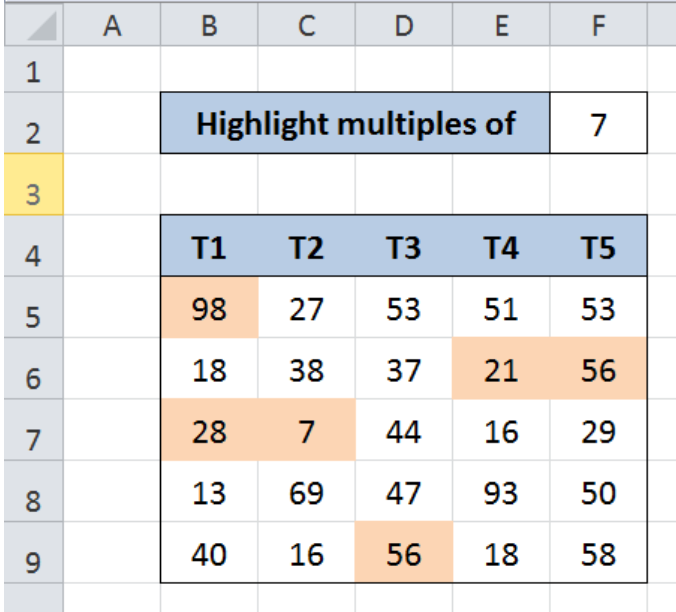 With conditional formatting and the MOD function, we are able to highlight multiples of 7. With our formula, we can easily highlight multiples of other numbers by simply changing the value of F2. Hello, I have an Excel problem. I have a spreadsheet full of notes and I want to find and highlight only a specific word - NOT the entire cell containing the word. 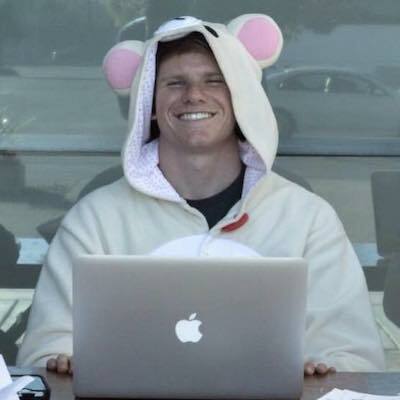 Is it possible to find and highlight only one specific word in Excel? I need help with a formula to highlight the entire row if the value in the first column is something specific. 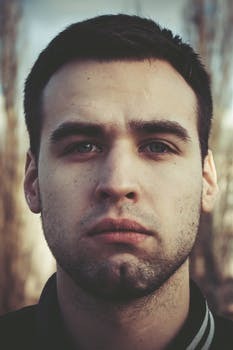 I've tried using If/Then formulas but no avail... please help! Is there a way i can highlight a cell and have that cell and its value jump to another tab to a specific location?